September 11, 2018 / Chymere A. 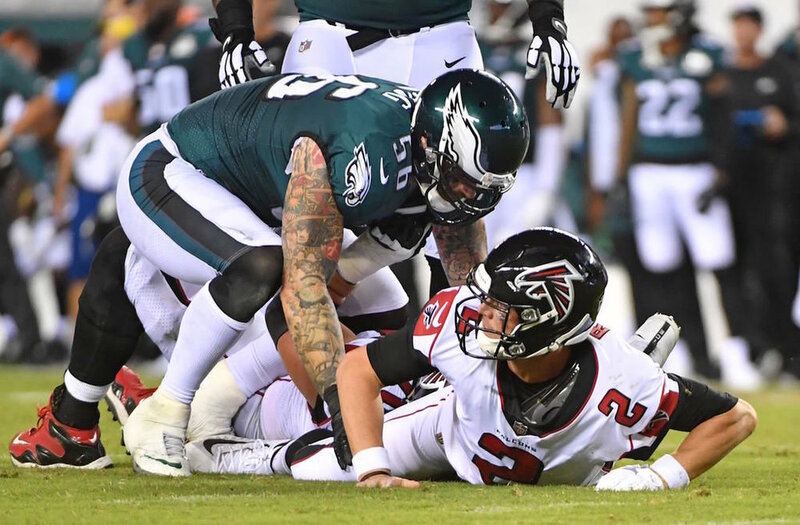 The season kicked off Thursday night at the Lincoln Financial Field in Philadelphia, home opener for last year’s Super Bowl champions. This game, which was initially delayed due to inclement weather, was more of a snooze than I anticipated. It did eventually picked up in the second half. A few first down plays into 3rd quarter, former Miami Dolphins running back, Jay Ajayi dives in the end zone and stretches the ball to score the first touchdown of the night for the Philadelphia Eagles. Two things that I enjoy the most about a good, old fashioned football will always be: the gore of a blow-out game, which we witness with the Bills and the Ravens, and a keeping the pressure on until the clock runs out, just like the match-up between the Buccaneers and the Saints. Oh the joys of overtime stress! Aaron Rodgers’ phenomenal comeback post-injury, helping Green Bay clear up a 17-point deficit against Chicago and ultimately leading his team to an epic Sunday afternoon victory. It was a close win for the Denver Broncos and the unexpected push to victory was Wide receiver, Emmanuel Sanders; 10 catches, 135 yards, and a touchdown. Honestly, I don’t think anyone saw that coming. Speaking of Wide receivers, what a Sunday for Wide Receiver, Tyreek Hill, who left quite an imprint on Sunday’s game against the Chargers with 7 catches, 169 yards, 2 touchdowns, 2 punt returns for the Kansas City Chiefs. Cleveland Browns Denzel Ward 2018 NFL Draft 4th overall pick. For Ward to be able to face Antonio Brown, who is arguably one of the best wide receivers in the league, with such tenacity in the first game of his career, this kid has tremendous potential. Former Heisman trophy winner, now a rookie quarterback for Buffalo Bills, Lamar Jackson had an amazing Sunday debut. It may be too soon and a little unfair to say whether or not he over-performed, but I do think he has something special that Buffalo could definitely benefit from this season. …quite an impressive summary for a debut.